Many of our products contain sheabutter, for very good reasons!! It is one of Mother Nature’s most wonderful ingredients! You will find it in our body butters, lip balms, salves and more! Sheabutter serves as a moisturizer and is naturally rich in vitamin A, E and F in addition to some other vitamins. It is thus able to soothe, balance and hydrate the skin. It also contains collagen which reduces wrinkles and other signs of aging while the essential fatty acids contained in vitamin F help to revitalize and protect damaged hair and skin. It thus promotes skin renewal, increases circulation and speeds up the healing of wounds. It is estimated that about eight percent of the fat in sheabutter is medicinal and even as far back as 1728, its medicinal properties were recognized and used by Africans. The low melting point of sheabutter which is between 32 to 45 degrees Celsius and close to body temperature coupled with the presence of allantoin, which stimulates the growth of healthy tissues in ulcerous wounds, makes it ideal as a base for ointments and medicines. The butter is thus a healing balm whose uses are many! 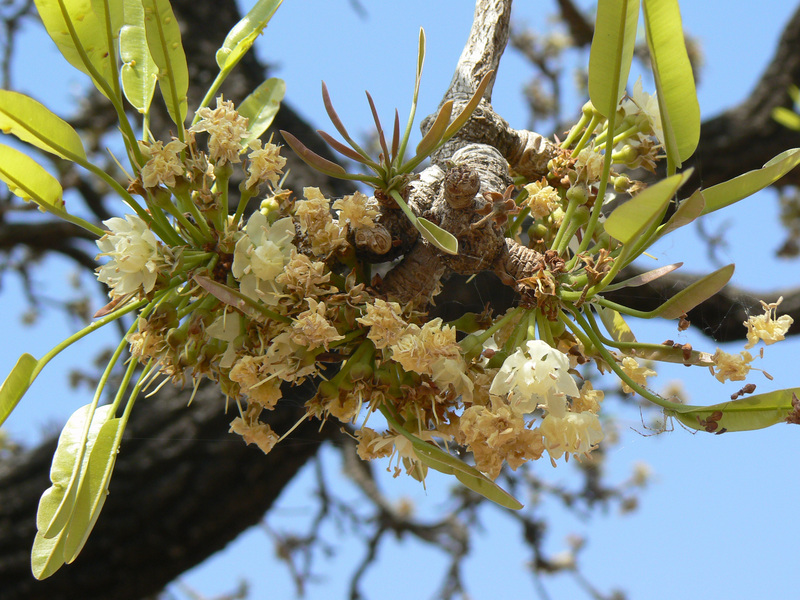 Considered a sacred tree, the shea tree (Shea-Karite tree) grows naturally in the wild in the dry savannah belt of West Africa from Senegal in the west to Sudan in the east, and onto the foothills of the Ethiopian highlands. The shea butter comes from the nuts found on the tree by removing the outer shell. The nuts are crushed by hand so that they can be slowly roasted into the butter. Once this has been done, the butter is kneaded by hand in a large basin of water to separate the oils, also known as the fatty acids. These fatty acids are what provides the restorative properties making it one of the best options for skin care and more. To get the final product, the shea butter is removed off of the top and cooled until it hardens.